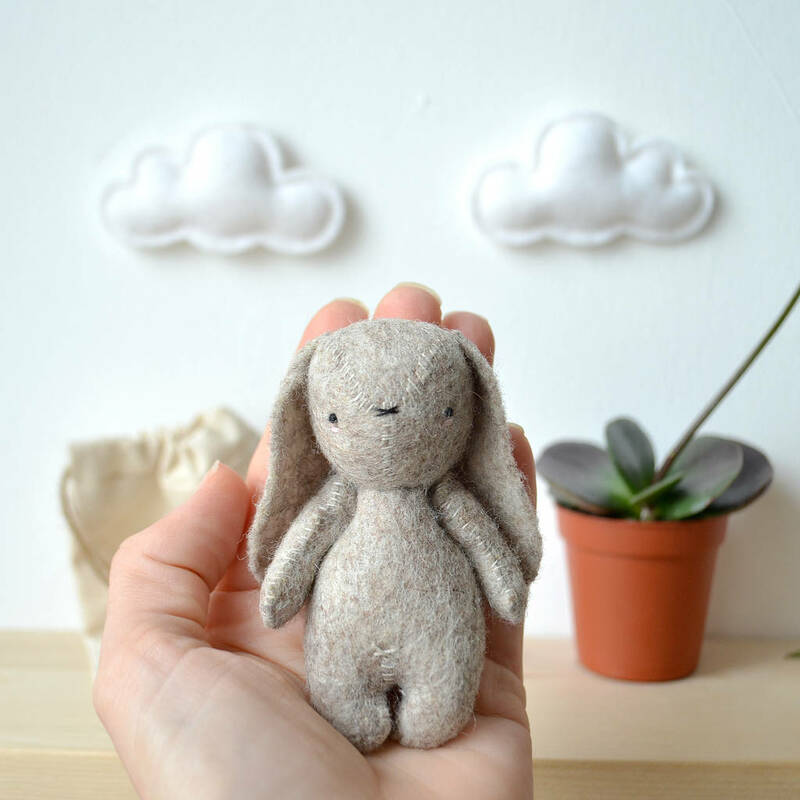 An adorable little bunny hand stitched in wool felt with delicate embroidered and needle felted details. 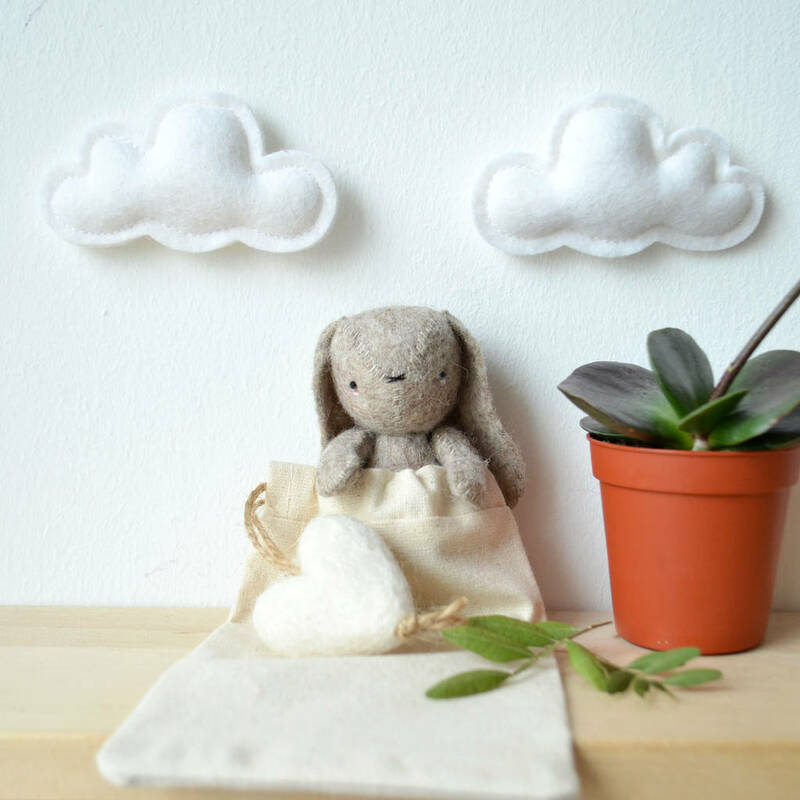 This adorable bunny is a perfect gift for a special little one. It is handmade to order, which makes each one a unique heirloom. It will fill your days with smiles. Bunny is really curious and loves shelves and desks and can spend hours looking around to discover new things every day. Although it is not recommended as a toy for it is made with delicate materials, it would be a beautiful nursery decoration. Ethically prouced in the UK using brand new materials of the highest quality. Please contact us if you would like it in a different colour. 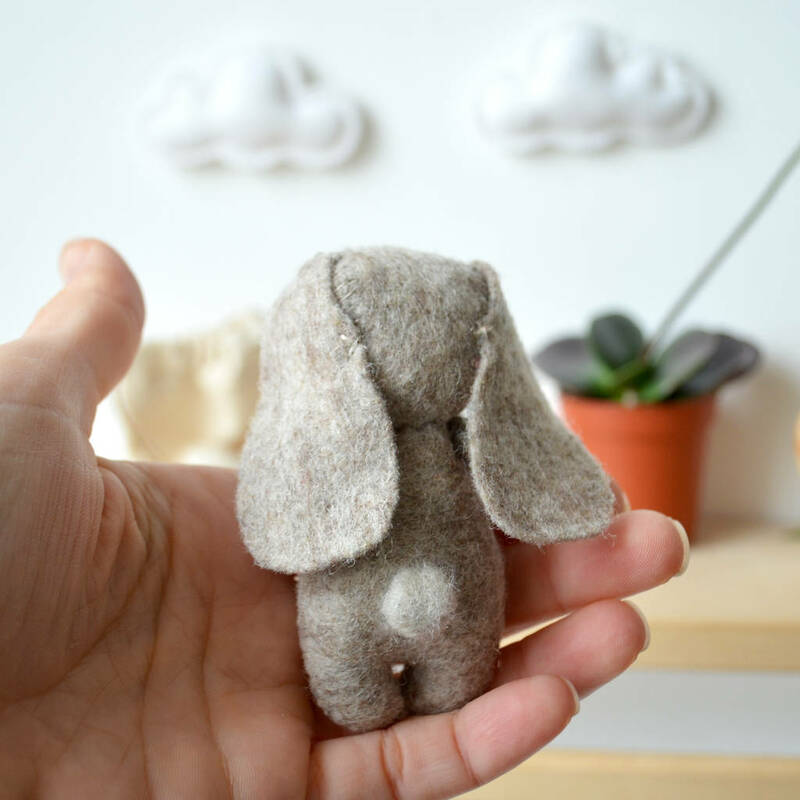 Handmade with 100% wool felt. 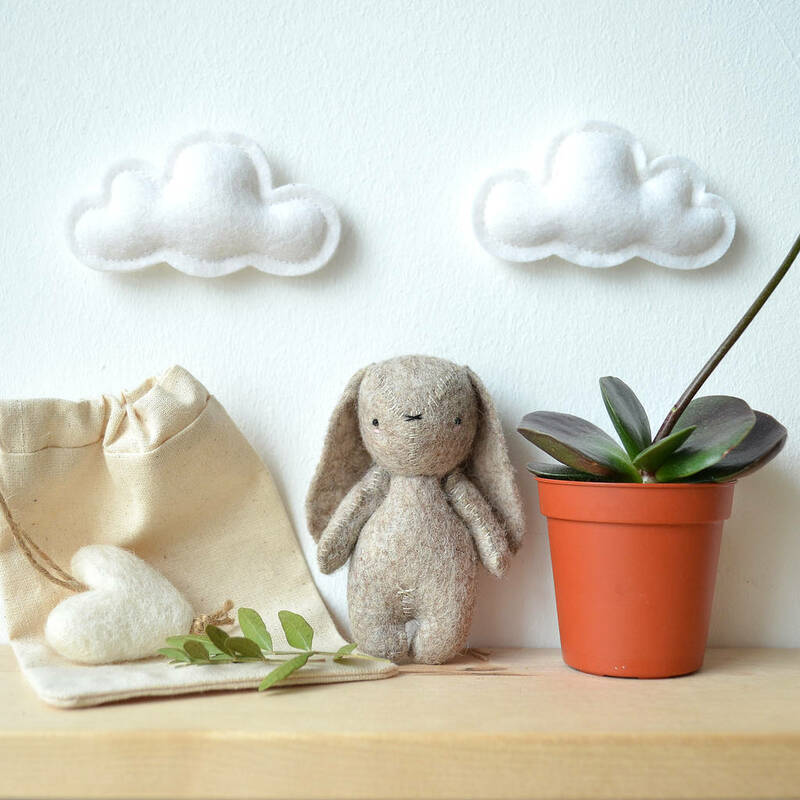 We only use 100% wool felt that meets EN71 European toy standards and carry the Oeko-Tex ‘confidence in textiles’ mark, so contains no nasty chemicals, including heavy metals. Little bunny is stuffed with hypoallergenic stuffing and embroidered with cotton thread. This product is dispatched to you by What a Curly Life.